Not for a moment did Reynald Pedros even entertain the thought of leaving his hand by his waist as his squad delegated penalty duties between them. Offering his services was exactly the type of responsibility he, and any other player of his nature, would willing assume. Emboldened by his abundance of talent, and his youth arming him with an eagerness flawed if only slightly by an opaque naïveté, the 24-year-old confidently volunteered himself as his team’s sixth-in-line. The penalty shootout requesting their presence was all that separated Pedros and his nation, France, from the final of Euro 96. Fast becoming the pride of their country, Pedros’ teammates knew exactly how to successfully navigate a tense penalty shootout as the round before had required just that of them. Having been held to a stalemate by the Netherlands for all of 120 minutes, their quarter-final was decided by penalties, with France emerging as victors following a 5-4 win. On that occasion, the weight of the terminal error would be Clarence Seedorf’s to bare. In the last four, France were drawn to face the Czech Republic and, once again, Les Blues and their opponents found one another impossible to break down as the game ended goalless. After 120 minutes of impotent guile and trickery, penalties would be required for a second consecutive round, and it was here that Pedros put forth his name. Bold as his profferance was, Pedros knew that should France dispatch all five of their penalties again, just as they had against the Dutch, he needn’t even breach the penalty area at all. Intoxicating though thoughts of becoming his country’s sudden death hero were to him, as they would be to anybody, Pedros hoped that ultimately his services would not be required and that their opponents would buckle under the pressure before the 11th penalty could be reached. France began the shootout with Zinedine Zidane who typically scored his effort. The Czechs swiftly responded with a successful strike from Luboš Kubík. Youri Djorkaeff then scored his, reestablishing the French lead, before Pavel Nedvěd eradicated it. This habit of success continued unabated as the two sides traded goals – Lizarazu, Berger, Guérin, Poborský, Blanc, Rada – until the score read five apiece and the time for sudden death was upon them. Up to the plate stepped Pedros. “I was focused, thinking: ‘there’s no need to rush’ – there was no anxiety at that moment at all,” Pedros recalled in a conversation with FourFourTwo, “I knew I had to make a decision, so I made one. I decided to aim to the goalkeeper’s left, as I had done on the few previous occasions I was asked to take a penalty.” His nemesis, the Czech custodian, Petr Kouba, also opted left and barely a second after departing Pedros’ left boot, the ball was next seen clattering off of Kouba’s shins and safely away from goal. The net behind the begloved giant, for the first time, remained untroubled. “There just wasn’t enough power. It was too central, and not very high,” admitted Pedros. The pendulum had swung emphatically in Czech favour and the very next penalty sealed their fate. Miroslav Kadlec took aim, sent his penalty beyond the despairing dive of Bernard Lama in the French goal, and carried his compatriots into the final to face Germany. France, meanwhile, were sent home. The sizeable blot that Pedros’ blunder would leave on his permanent record was not hard to foresee. Whatever he achieved in the many years that likely remained in the latter portion of his career, he would almost certainly never expunge from his conscience the memories of the occasion he failed his nation, when his penalty alone seemed to cost his country a place in the final of a European Championship. What nobody could have predicted, however, was the immensity with which this single failure would define him in the eyes of his compatriots and how lethal their contempt would be to his swiftly burgeoning reputation, spelling an end to the thrilling tale that was to be the career of Reynald Pedros, the almost-superstar assassinated by the very country he longed to please. Reynald Pedros’ playing days began at Nantes, whose youth academy he joined in 1986 as a cherubic, shaggy-haired 14-year-old. After leaping through the necessary hoops and evidencing the prerequisite je ne sais quois needed to stand out from his contemporaries, Pedros made the natural progression from youth squad to first team by way of the club’s B team. His definitive break into the club’s first team plans coincided with the 1980s transition into the 90s. There, in both the first team and the 90s, Pedros formed part of a hugely promising first team portrait under the astute managerial guidance of Nantes legend Jean-Claude Suaudeau, and would delight his educators by fulfilling almost every nuance of early potential they believed he possessed. One third of a supremely technical trinity of attackers, affectionately named the ‘trio magique’ by their droves of devotees, Pedros, along with compatriots Patrice Loko and Nicolas Ouédec, fired their team to the 1994/95 Ligue 1 title, bedazzling their fans and aiding their gaffer Suaudeau in reliving the illustrious exploits of a decades-old playing career when he too had conquered the league with Nantes. By the summer of 1996, still yet to tumble into his mid-20s, Pedros had already danced amidst the daring highs and lamented the damning lows of his still germinating football career. He had heard his name sung as a French champion, cursed fate for having removed his team from the Champions League at the so near yet so far semi-final stage, and lived through the experiences of that penalty miss against the Czech Republic. Feeling as though he had outgrown Nantes a little, recognising the dull ache of a growing wanderlust creeping into his consciousness, and having watched both Loko and Ouédec follow the diverging paths of their futures elsewhere, Pedros began to listen to offers from other clubs. First came the attention of domestic rivals Monaco. Manager Jean Tigana was keen to add the left-sided midfielder to his ranks, believing him to be a stellar addition to an ambitious squad, but the club’s president Jean-Louis Campora felt otherwise inclined and made no effort to hide these feelings of anxiety when speaking in public to the country’s press. Tigana attempted to persuade Pedros of the club’s affections for him, of their suitability for one another, but having heard Campora’s doubts, Pedros would not be won over. After the ordeal of his ill-fated impact at Euro 96, and now a seemingly safe distance from the emotional exhaustion that stalked his homeward return, Pedros wished for nothing more than to be wanted. One club who filled this criteria was Barcelona. The mental image Pedros had painted of life in Catalonia seemed like paradise; to him there could be no better place to realign himself with the skyward trajectory his career had in recent months threatened to slip free from. Unfortunately his wife disagreed and made it clear that she would remain in France whether or not he chose to chase his dream westwards to Spain or, for that matter, anywhere outside of their native France. Pedros knew better than to defy the wishes of his beloved and, after his futile attempts to convince her fell on deaf ears, he reluctantly rebuffed Barcelona’s advances. With Pedros’ peripatetic temptations having been tuned out of him, the ever-narrowing scope of his inevitable transfer honed in on the waving arms of two men clad in Marseille colours, gesticulating desperately in order to catch his attention. L’OM sports director Marcel Dib and manager Gérard Gili saw eye-to-eye in a way Monaco’s Campora and Tigana simply couldn’t and both men were desperate to acquire the services of Pedros. Naturally, with no doubts over the legitimacy of their eagerness to sign him, Pedros agreed. He cut short his summer holiday and flew back to the south of France to lend his signature. The Marseille hierarchy pulled out all the stops in welcoming Pedros to the club and made no attempts to temper their ambitious exclamations with a much-needed dose of reality. Marseille had only recently returned to the French top flight – having had relegation forced upon them in 1994 as punishment for their role in l’affaire VA-OM, a scandal that not only revealed the club’s financial irregularities but a match-fixing scandal to boot – and were hellbent on heading straight back to the very summit. Only their efforts on the training field failed to match their lofty aspirations. “At Marseille, I barely worked,” Pedros bemoaned, “no pain; no real effort.” Long gone were the personalised training regimes to which the midfielder had become accustomed. In comparison to his blood, sweat and tear-soaked sessions at Nantes, life at Marseille was positively pedestrian. Unsurprisingly, the team’s laissez-faire approach to preparation and training translated to scant on-field success and Les Phocéens were rudely awoken from their championship dreams with a regrettable 11th place finish in Ligue 1. During this time it wasn’t as though Pedros could point to a handful of personal victories to line his many grey clouds with silver. He failed to replicate his form of old at Marseille, sapping from him his ability to perform on the international stage, which soon saw him robbed of his place in the French national team altogether, and he became accustomed to playing to a choir of boos domestically, so much so that he claimed to rarely even hear them. Egregious chants and amorphous howls of contempt, borne from his prior penalty miss and reinforced by his present absence of ingenuity and confidence, had become so commonplace that poor Pedros had learned to subconsciously filter them out. That or he knowingly denied them for the sake of his sanity. Six months after signing, Pedros sought a swift egress from Marseille, the club’s empty promises proving to be of little sustenance to a player desperate to set about mending his reputation upon firmer foundations than theirs, and this time he wouldn’t be talked out of seeking opportunity abroad. His Francophilic wife was still very much a fan of France but was no longer his wife and so, free to do as he pleased, Pedros moved to Parma. This time around, this particular new club of Pedros’ found great success, far more than Marseille had. Sadly for the Frenchman, success had a little harder time finding him. 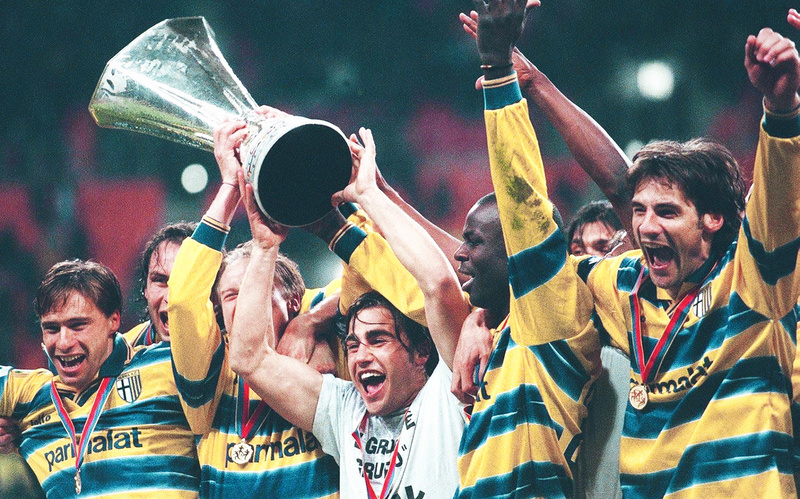 In his first season with Il Gialloblù the team – overflowing with quality in the form of Gianluigi Buffon, Fabio Cannavaro, Lilian Thuram, Dino Baggio, Enrico Chiesa, Hernán Crespo – finished second in Serie A, just two points shy of eventual Scudetto winners Juventus. Pedros’ role in all of this was, more often than not, to watch on from the treatment table; a pained expression etched across his face on account of the thigh muscle he had torn while attempting to match the physical efforts of his esteemed peers. Pedros might as well have been cast adrift in the Parma River without a boat or paddle, such was the routine with which he found himself swimming against the current in attempting to reclaim his place in the French national team. 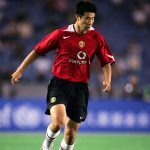 A lack of playing time at club level left him out of contention, requiring him to make up for lost time, to over-train and over-play, leaving him more susceptible to injury and consequently ensuring even less playing time. In an attempt to escape the self-perpetuating hamster wheel in which he found himself constantly scurrying without reward, Pedros departed Parma in a temporary move to Naples, to play for the Partenopei, where he hoped he could rediscover his form and find himself along with it. But this loan only further entrenched the Frenchman. At Napoli, Pedros barely kicked a ball. “It was a catastrophe. In two months there, I didn’t play a single game.” Pedros could only watch through the barely parted fingers that covered his face in disbelief as his new team discarded managers and shuffled through players with alarming regularity. Still his chance never came and so he moved again. Pedros travelled home to France to turn out for Lyon and, to his delight, found affection at the Stade de Gerland. But by this point he barely registered as a faint bleep on the radar of the French manager and failed to come to within a mile of the national team despite an upturn in his fortunes. It seemed his shot at redemption with Les Blues had long since passed and Pedros was left feeling as though he had wasted his best years bouncing from club to club in search of something he may never find; something he left behind at Nantes. 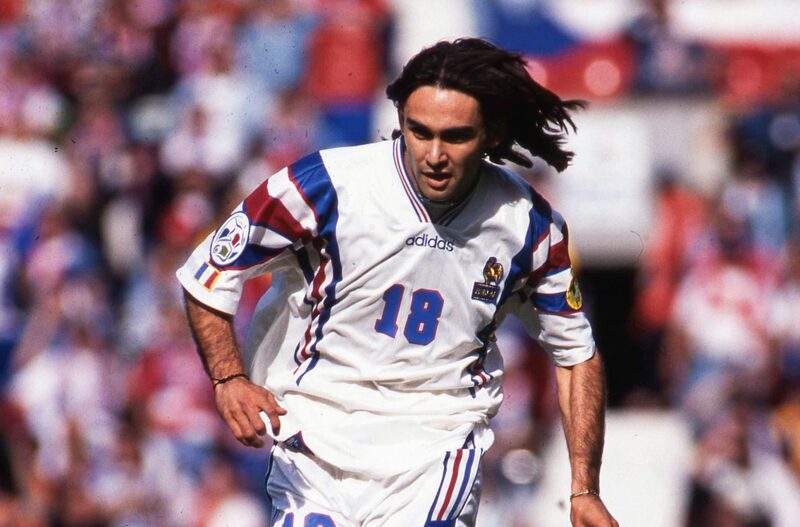 When France triumphed at their very own World Cup of 1998 and continued their winning ways at the following European Championship two years later, Pedros watched on with little more at stake than any other mere fan. The champagne, understandably, tasted bitter on his tongue. After Lyon, Pedros remained among home comforts in France hopping between a handful of smaller clubs – Montpellier, Toulouse, Bastia – before affording his waning talents one last crack abroad. At this venture, however, it was no longer Barcelona knocking at Pedros’ door but the likes of Israelis Maccabi Ahi Nazareth and Al-Khor Sports Club of Qatar. When he eventually hung up his boots for good, it was a stint in the amateur French leagues that Pedros waved goodbye to. That and a career patently bisected into two torturously contrasting episodes: before Euro 96 and after. Once found performing adroitly alongside Zidane and, more poignantly, spoken about in the very same breath as him – both unique talents in an exciting crop thought capable of defining a generation – Pedros’ career seemed to begin free falling at the very moment the other’s readied for take off. The catalyst for the fork in the road that saw their two lives diverge may have owed itself to a difference of mere inches but eventually grew until the two could hardly have been placed further apart. Today, as manager of Olympique Lyonnais Féminin, Pedros still finds himself within the game but no longer has to worry about which place in the penalty shootout he should occupy, how to best shield himself against the injuries that may reset his agonising and laborious progress, or have his conscience invaded in the day’s leanest hours by worries of hearing jeers in place of cheers. He may not have saved his country as so many hoped or remained on par with Zidane throughout the era they shared, but the pages belonging to those chapters were turned over long ago. For all he has gone through, Reynald Pedros the man is undoubtedly stronger for having endured the life of Reynald Pedros the footballer and the story of his life is still far from complete.